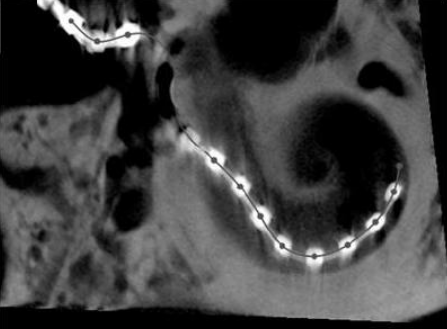 During Cochlear Implant Surgery, the right placement of the implant and the minimization of the surgical trauma to the inner ear are an important issue with recurrent fails. In this study, we reproduced, using simulation, the mechanical insertion of the implant during the surgery. 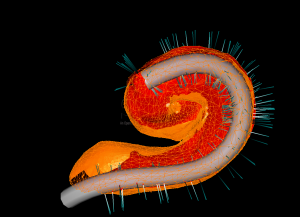 This simulation allows to have a better understanding of the failing cases: excessive contact force, buckling of the implant inside and outside the cochlea. 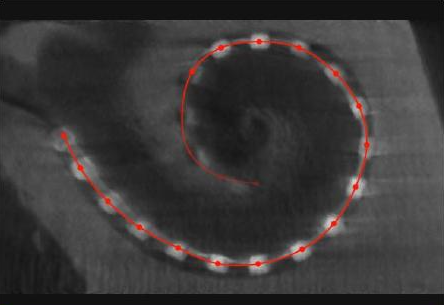 Moreover, using a patient-specific geometric model of the cochlea in the simulation, we show that the insertion angle is a clinical parameter that has an influence on the forces endured by both the cochlea walls and the basilar membrane, and hence to post-operative trauma. 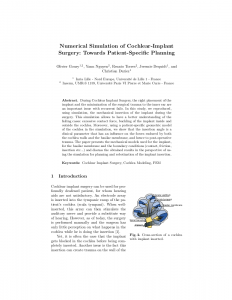 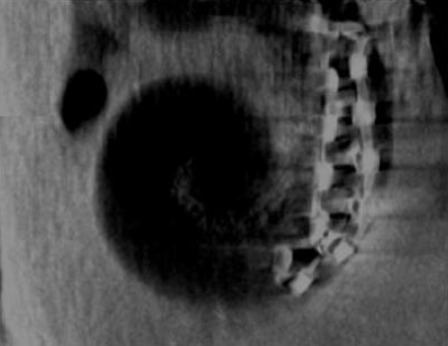 The paper presents the mechanical models used for the implant, for the basilar membrane and the boundary conditions (contact, friction, insertion etc…) and discuss the obtained results in the perspective of using the simulation for planning and robotization of the implant insertion.